I often buy wine based off of the label, especially red wine since I know practically nothing about it. I love this label. It is so fun. I love the dancing. I love the colors. Yup, I am posting a picture of a wine label for my Friday Photo today! This entry was posted on July 20, 2018 at 3:53 pm	and is filed under Friday Photo. 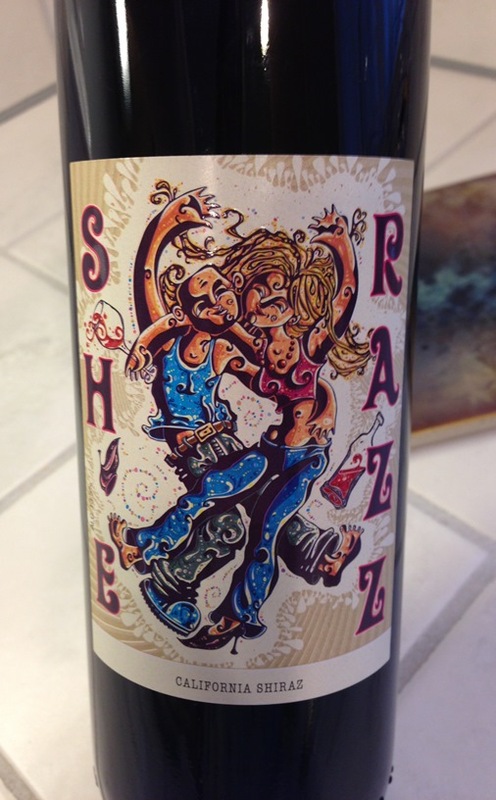 Tagged: Dancing, She-razz, wine, wine label. You can follow any responses to this entry through the RSS 2.0 feed. You can leave a response, or trackback from your own site.